Just coming up for air here, after frantically entering into lots of competitions on Freelancer. I am hoping that some of them might get too busy to enter or they will judge that the amount of effort is not worth it. This seems to be the case for a currently offered mall design. 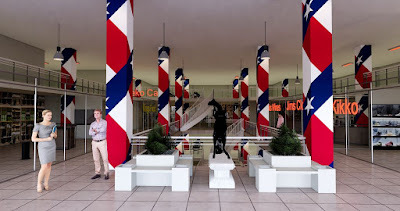 There were several calls to the contest holder to increase the prize, as he wanted multiple rendered views, along with about 20 shops that were supposed to be stocked with goods. Well, good luck trying to stock 20 shops. Obvious work-arounds were to get pics of shop walls and use them as materials on the walls, which is what I did. I just ran out of pics to use (most pics of merchandising are never straight on, always perspective). Not to mention patience. I did a check render using Revit and 3dsMax on really low settings and watched the result dribble onto the screen. While the lighting came out not too bad, the amount of time to get a good looking render, probably in the region of 2 hours minimum, which was just not competitive with Enscape, where I found that if you set capture output to 4K, you get a very sharp image in around 1 minute per shot. Then there is the ease of navigating to your next shot. Magical. Finding the right materials is always a trick, I downloaded a pic of the Texas flag and used it on the columns, maybe a bit garish. The floor was a download as well. This competition is still running, and sealed. I guess sealed is so people do not copy each other. Speaking of which, it appears this site gets around 50 page views per month. What is deceptive about this figure is that it covers all the posts, and does not say if they read it or not. So to the two persons reading this, "Hello!" 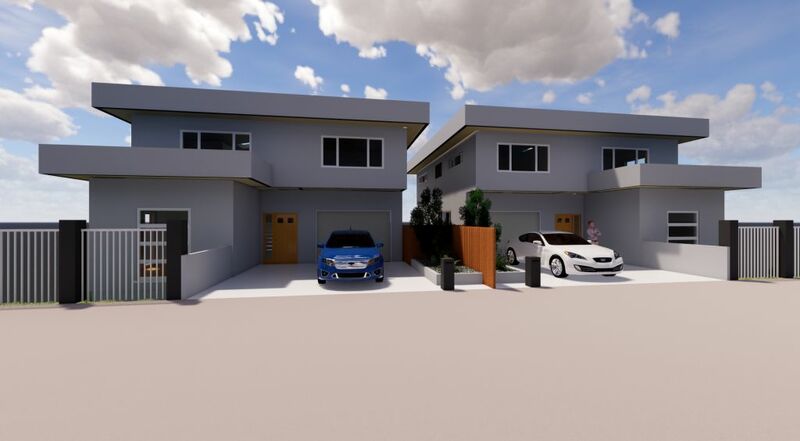 The next one entered was a pair of townhouses in Australia. Given the brief, I found it almost uncanny how the creation of the floor plan generated on it's own the "architecture". Which is to say that very little "architectural" design was involved. Maybe that is why it did not win.